Japan is a land rich with culinary talents and here in Singapore, we’re lucky to have two of Japan’s most talented celebrity chefs call our little island home. We caught up with Chef Kentaro Chen and Chef Kenjiro Hashida as they prepared for their first ever, one-night-only dinner collaboration at Me@OUE. 1. What inspired the collaboration between you both? Chef Chen: Just like me, Chef Hashida was also born in a Chef’s family. He is also one of the most outstanding young chefs from overseas. So, I’ve been waiting for a chance to collaborate with him and this one-night only dinner at Me@OUE has been the perfect timing. Chef Hashida: I’m not 100% sure what Chef Kentaro is inspired by but I wanted to create a menu that celebrated the start of this New Year. Overall, we are both working toward the seasonal ingredients to deliver the best flavours for our diners at Me@OUE. 2. What was it like to work with each other? Chef Chen: We both have been travelling between Singapore and Japan constantly. Each time we’re in the same city, we schedule meetings to discuss our concept, ideas, menus and ingredients. 3. What is your inspiration for the dishes that you will be preparing? Chef Chen: I was inspired by the challenging spirit of Chef Hashida. Chef Hashida: My inspiration is ” New Years”- after our recent New Year celebration and also of the upcoming Lunar New Year. 4. Why did you choose these specific dishes? Chef Hashida: The Me@OUE dinner is a collaboration. Both Chef Kentaro and I worked very closely together to reach the perfect harmony in the flavours and techniques to create each dish. Chef Chen: We were thinking about the best collaboration for Sichuan and Japanese food. 5. What is your favourite dish from the menu? Chef Chen: The menu is a story from the Appetizer to Dessert – so each part is equally my favourite. Chef Hashida: I can’t decide on a favourite – it’s impossible. But as a Sushi Master, I love sushi and of course dessert is a must! 6. Did you face any challenges when creating the menu or dishes? 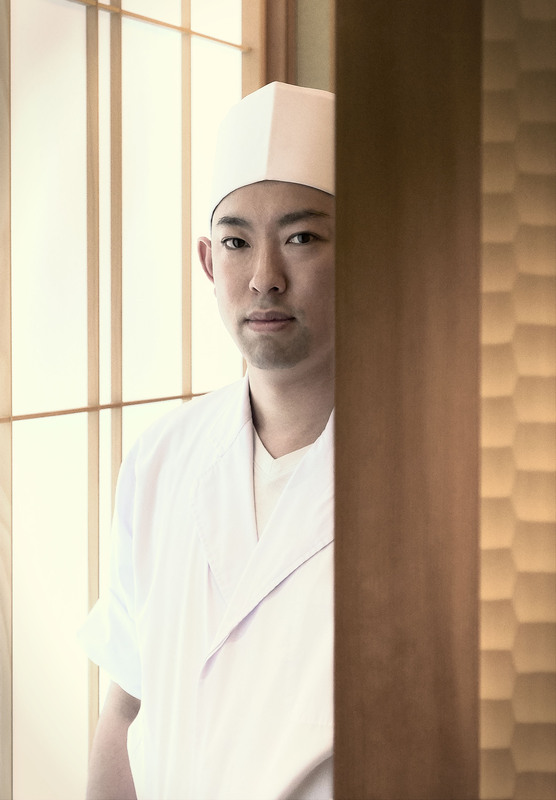 Chef Hashida: It’s always a challenge when collaborating with a Chef, especially one as talented as Chef Kentaro. However, we have worked hard to create this menu and both our ideas have turned out well – we hope our diners at Me@OUE will think so as well! Chef Chen: The challenge was to create traditional Sichuan food while adopting Western and Japanese cooking techniques. From there we created a Japanese collaborated menu. 7. Are any of the ingredients sourced from Japan? Chef Chen: Our vegetables are inspired by the winter vegetables enjoyed in Japan and have sourced all these from Japan. Chef Hashida: Yes, all my ingredients, inspiration, ideas are from Japan. 8. If so, please specify the ingredients from Japan and why did you choose these ingredients? Chef Hashida: These are very specific ingredients that only I can identify for my dishes. Chef Chen: “Miyazaki beef” – for this dish, the 100% purebred Japanese Wagyu beef is cooked at a low temperature and then stir fried with vegetables and oyster sauce, fusing flavors in perfect harmony inside your mouth. 9. What do you want your customers to feel when they eat your dishes? Chef Kentaro: All dishes are simply made to delight our guests and make them happy. 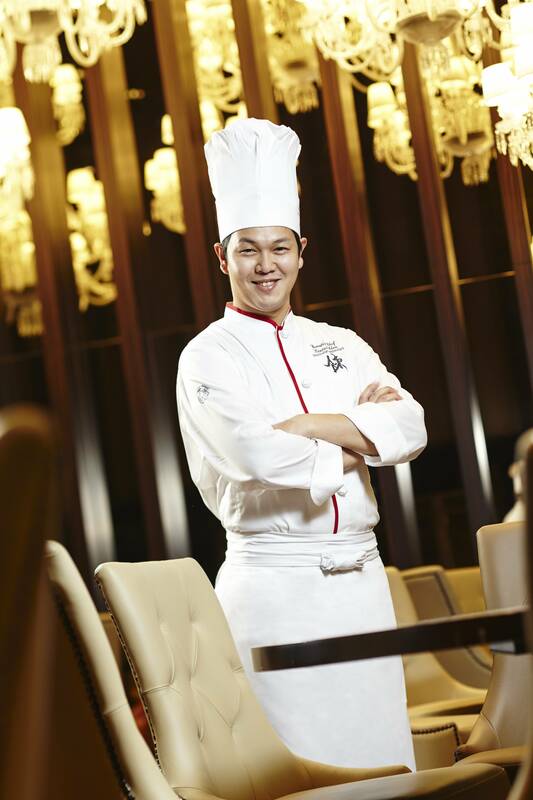 Chef Chen: To appreciate our rich culture and heritage through our cuisine. 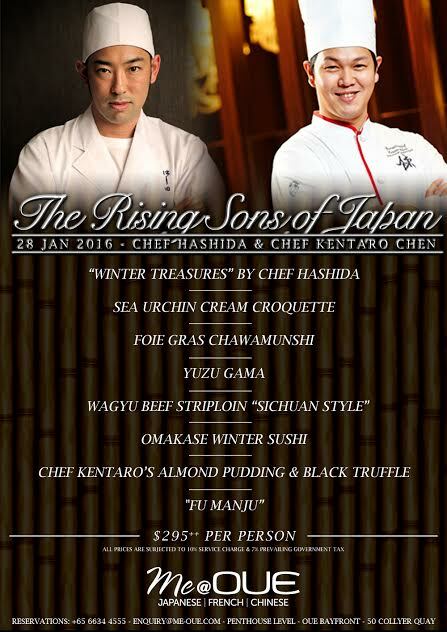 Grandson of Japan’s “Father of Szechwan Cuisine”, Kenmin Chen and son of celebrity Iron Chef Kenichi Chen, Chef Kentaro Chen helms the Mandarin Orchard’s Shisen Hanten. Through his signature dishes, he seeks to celebrate his grandfather’s legacy and the seven basic flavours of Szechwan cuisine: sour, pungent, hot, sweet, bitter, aromatic and salty. A second generation celebrity chef from Tokyo, Chef Kenjiro Hashida is a graduate of L’Ecole Tsuji Tokyo (Tsuji Culinary Institute), Japan’s top culinary school and has been in the industry since the tender age of 14. He has a keen interest in desserts and now runs Hashida Sushi and Hashida Garo at the Mandarin Gallery. Me@OUE is a restaurant and rooftop lounge that offers three distinct cuisines– Japanese, French and Chinese – in an open-concept-kitchen. 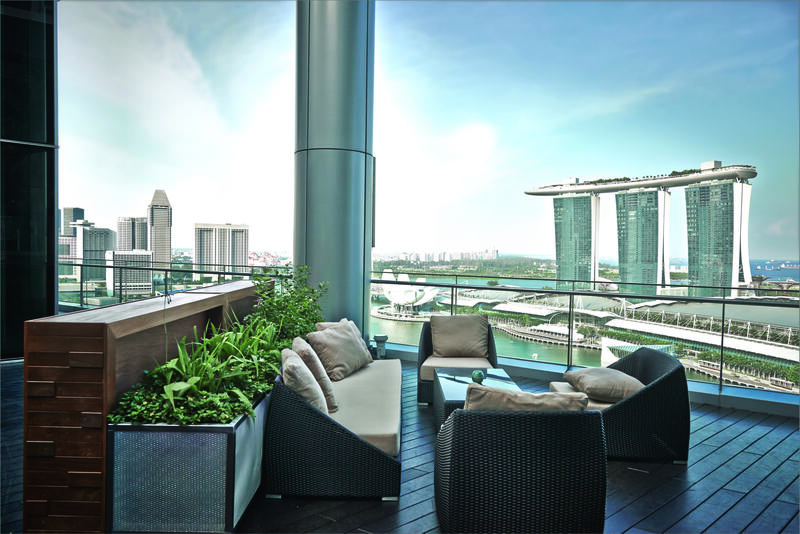 Explore a wide variety of flavours as you take in the gorgeous views from the city through its floor-to-ceiling glass windows and one of Singapore’s best rooftop lounge.